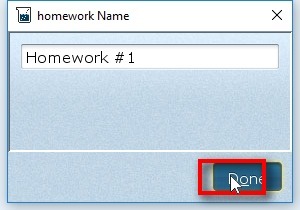 There are no rules to naming homeworks, but you should name it something that fits into the flow of your course. 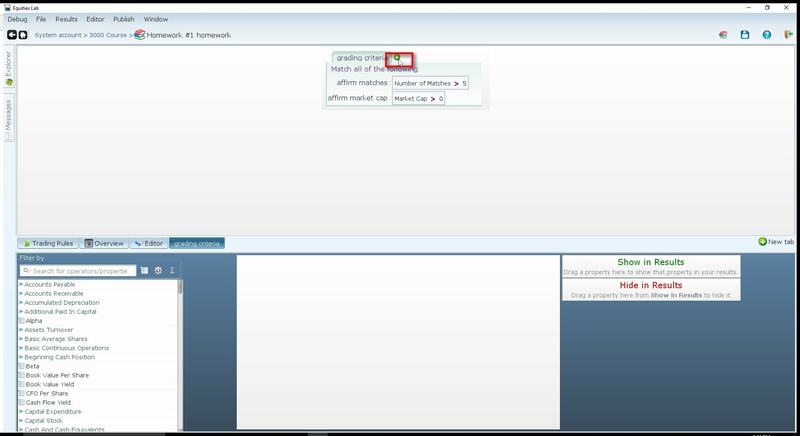 There are a wide range of editable fields within the homework environment. 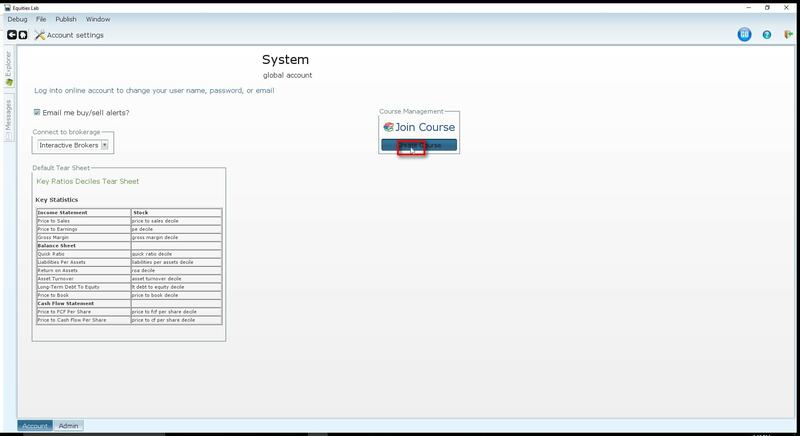 You can set a minimum/maximum standard deviation, monthly return, beta, drawdown, etc. You can also set a time frame that falls anytime within 1995-today. 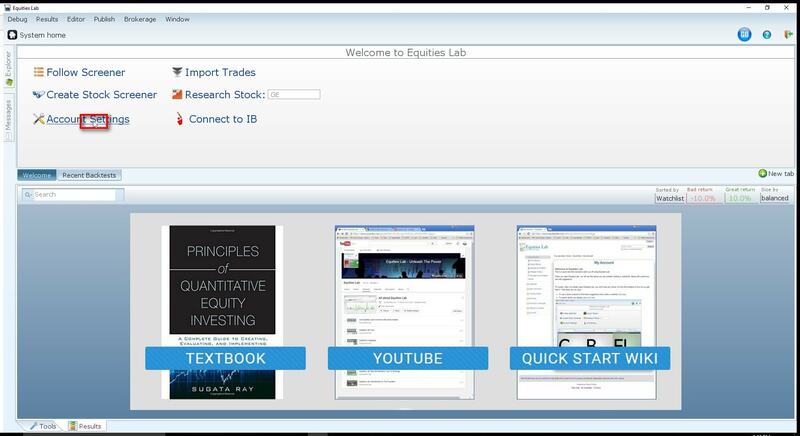 Once you have the return and risk requirements set, you may restrict your students trading in order to make sure their screens fall within the required parameters. This section can be as long, or short, as you like. 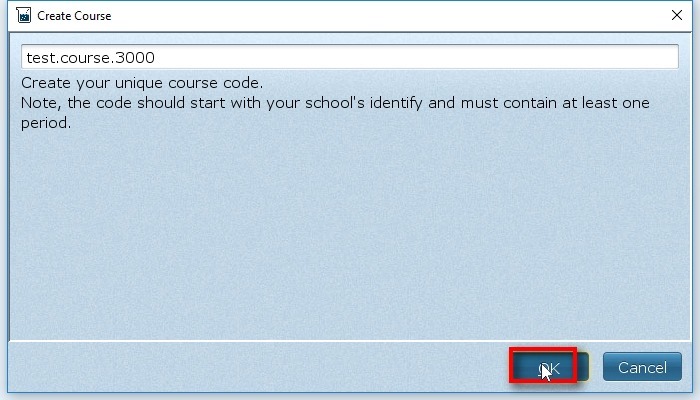 You can create a new line of requirements by either clicking the semi-colon key on your keyboard or clicking on the green “+” highlighted here. 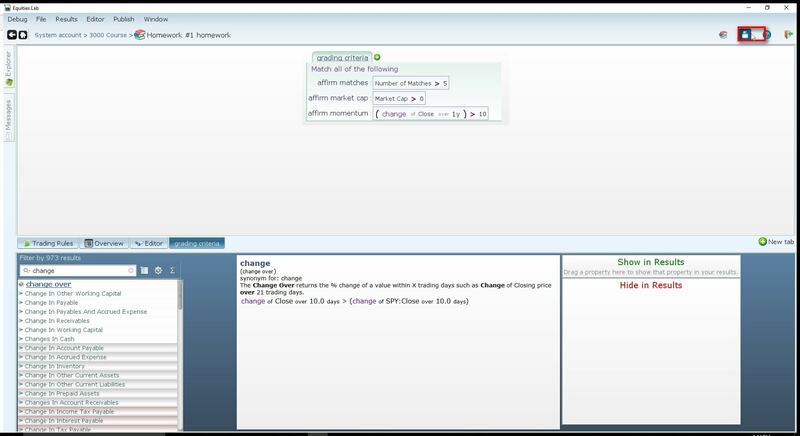 By beginning the variable name with “affirm” you are letting the system know that this is a grading requirement for this homework. 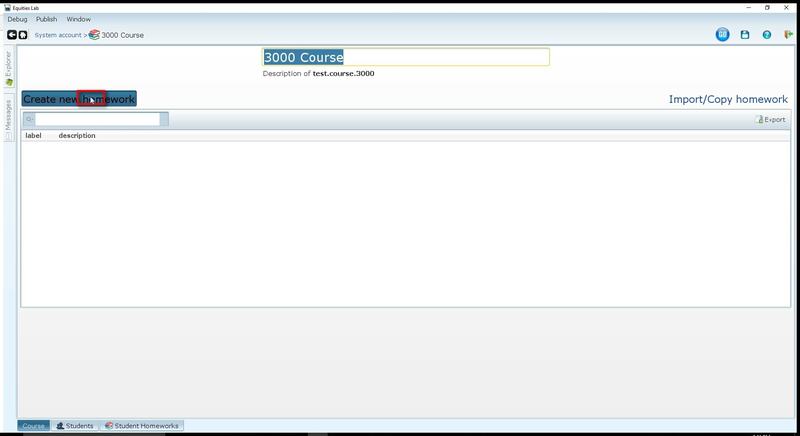 The first and easiest way to add criteria to your grading variable is to locate the “tools” menu and drag and drop the parameter you’re interested in. In this case we are setting a momentum requirement. We go to the tools menu and search “change”. 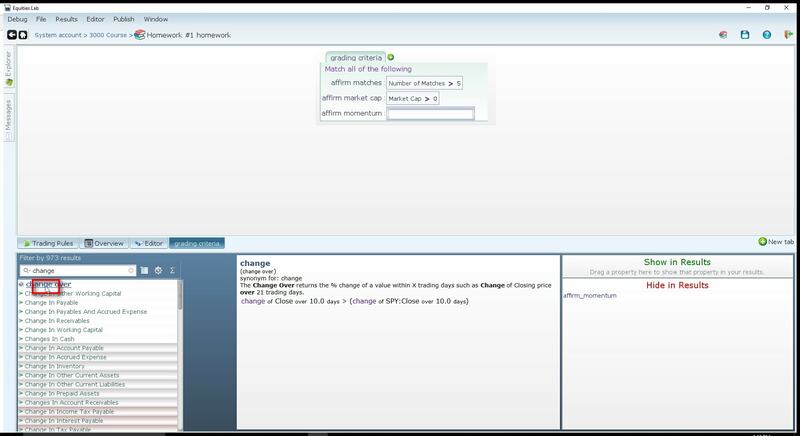 We then drag-and-drop the “change-over” operator into our empty space. 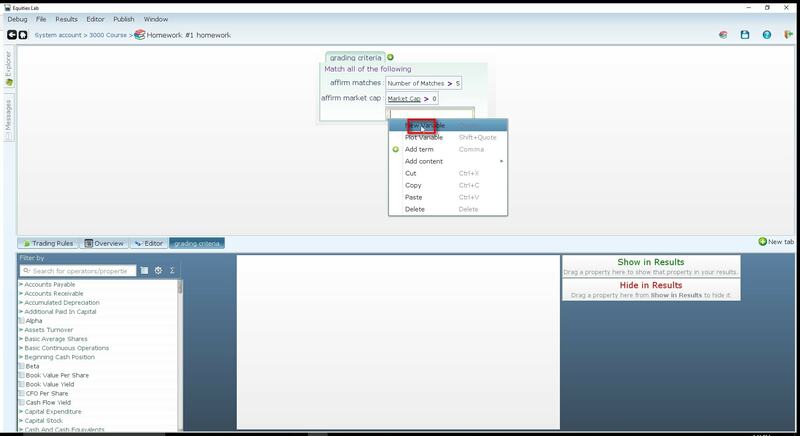 If you already know what the criteria is called – “Close” in this case – you are able to simply type the word into the empty cell and the system will autocomplete/autosearch all parameters that match your input. 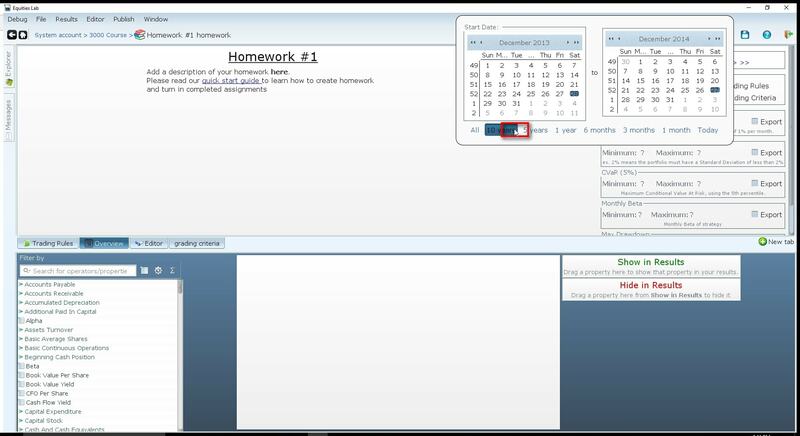 To finalize and save your homework to your class simply click the floppy disk in the top right-hand corner and it will be added to your course plan.